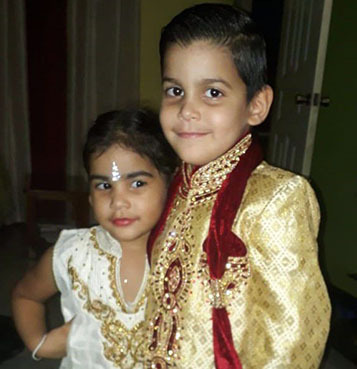 (Trinidad Express) EVEN the children of Aaron and Paola Sooknanan were beaten by the abductors who snatched them as well their parents and their aunt in the early hours of Saturday. Isabella, three, and Ricardo, five, sustained bruises, abrasions and cuts from the beating, police said. Their skin was also gashed and blistered from the trek through the forests between Penal Rock Road and South Oropouche Road, Barrackpore. 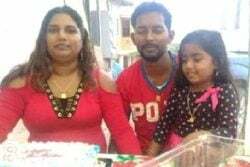 It was at Barrackpore that police rescued the children and their parents – father Aaron Sooknanan, 28, mother Paola, 26, and their aunt Roxanna Gonzales, 37. Paula and her sister are Venezuelan nationals. Aaron Sooknanan and his wife Paula Sanchez-Sooknanan and their family walked to civilisation after their kidnappers abandoned them in the forest as police closed in. 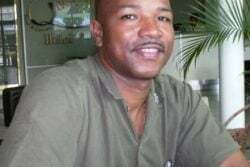 Police said on Monday that they have arrested a 25-year-old man in connection with the abductions while four other men are being sought. Two other men whom police said are persons of interest in the case are also assisting in the investigations. One of the two allegedly received a cellphone which belonged to one of the victims. 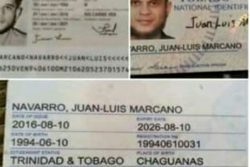 The other is allegedly an associate of the other men being sought in connection with the abductions. The family was rescued in the forested area around midday on Sunday by the police who brought them to safety. Paula and her sister are nationals of Venezuelan. 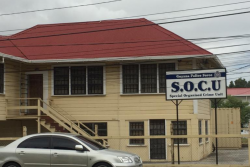 The TTPS initially reported that four members of the family were abducted, but Police Commissioner Gary Griffith said that a fifth relative was also taken. 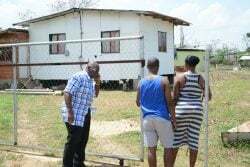 The family of five were snatched at gunpoint out of their home at Jhulai Branch Road, Penal Rock Road in the early hours of Saturday. Aaron’s mother, Zalaca Sooknanan, reported her son’s family missing, and when police went to the house, they found a man — a Venezuelan national — beaten and his hands tied with electrical cord, and the house was ransacked. 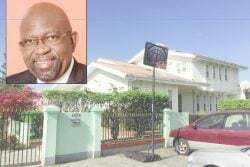 Police said that when the criminals – a group of five men wearing masks and toting guns – stormed the house they demanded gold jewelry and money from the Sooknanan family. 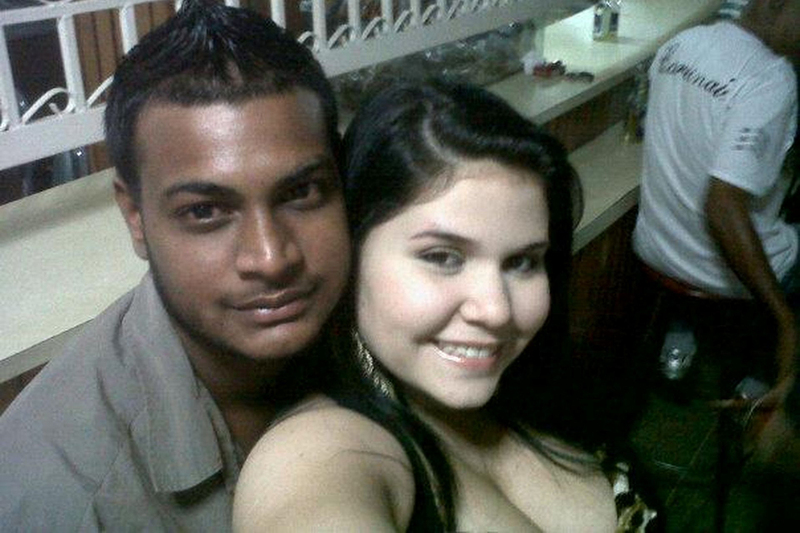 They ransacked the house searching for valuables, then robbed the family of a flat screen television, jewelry, cell phones, and US$850 which belonged to the Venezuelan man. They bundled the family into two vehicles and drove to an area in Penal Rock Road. Police said all members of the family were beaten, and the adults were planassed (beaten with the flat side of the cutlass). The abductors beat the children with their fists. In their weakened state, the family of five trudged through the forests from Penal Rock Road until the farmlands of South Oropouche Road. A police team which comprised of officers of the Special Operations Response Team (SORT), Anti-Kidnapping Squad (AKU), Guard and Emergency Branch (GEB), the South Western Division CID, Air Support Unit and the Inter-Agency Task Force (IATF), with support and coordination from the National Command Centre brought the family out of the forested area. The family was taken to the San Fernando General Hospital where they were treated for dehydration, and their injuries. All but Aaron Sooknanan were discharged from hospital on Sunday night and taken to an undisclosed location. He was said to be heavily sedated as he received the worst injuries. The Venezuelan man was also treated and discharged from hospital. 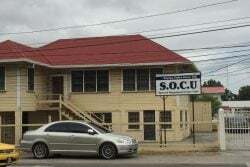 Police said the women and children were very traumatised from the ordeal and were to receive counselling before giving statements to the police. Griffith on Sunday called the abductors “low life creeps” for holding children and taking them into a forested area. He warned would-be kidnappers that if they engage in the crime they would be arrested or end up dead.